In 2009, the Tax-Free Savings Account (TFSA) program began, offering Canadians who are 18 and older the opportunity to set money aside tax-free throughout their lifetimes. Contributions to a TFSA are not deductible when it comes to your taxes, but any amount contributed as well as any income earned in the account, including capital gains, dividends, and interest, is essentially tax-free, even when it’s withdrawn. If you don’t already have a TFSA, you should strongly consider opening and contributing to one, and if you do already have one, here are two stocks with 3-5% yields that you could add to it today. Toronto-Dominion Bank (TSX:TD)(NYSE:TD), or TD Bank for short, is the second-largest bank in Canada and the sixth-largest bank in North America as measured by assets with approximately $1.18 trillion as of October 31, 2016. It provides a wide range of financial products and services to approximately 25 million customers around the world. TD Bank currently pays a quarterly dividend of $0.55 per share, representing $2.20 per share on an annualized basis, which gives its stock a generous 3.3% yield today. It’s very important to confirm the safety of a stock’s dividend, especially when selecting stocks for your TFSA, and you can do this with TD Bank by checking its earnings. In its fiscal year ended on October 31, 2016, its adjusted net income totaled $4.88 per share, and its dividend payments totaled just $2.16 per share, resulting in a 44.3% payout ratio, which is within its target range of 40-50%. In addition to having one of the safest +3% yields around, TD Bank has a reputation for dividend growth. Fiscal 2016 officially marked the sixth consecutive year in which it has raised its annual dividend payment, and its 7.8% hike in February 2016 has it positioned for fiscal 2017 to mark the seventh consecutive year with an increase. As mentioned previously, TD Bank has a dividend-payout target of 40-50% of its adjusted net income, so I think its continually strong growth, including its 5.6% year-over-year increase to $4.88 per share in fiscal 2016, and its growing asset base that will help fuel future growth, including its 6.6% year-over-year increase to $1.18 trillion in fiscal 2016, could allow its streak of annual dividend increases to continue for decades. CT Real Estate Investment Trust (TSX:CRT.UN) is one of Canada’s largest commercial REITs. Its portfolio consists of 302 predominantly retail properties totaling approximately 22.9 million square feet of gross leasable area located across every province and two territories. CT currently pays a monthly distribution of $0.05833 per unit, representing $0.70 per unit on an annualized basis, and this gives its stock a juicy 4.7% yield today. It’s very easy to confirm the safety of CT’s 4.7% yield; all you have to do is check its cash flow. In its nine-month period ended on September 30, 2016, its adjusted funds from operations (AFFO) totaled $0.639 per unit, and its distributions totaled just $0.51 per unit, resulting in a sound 79.8% payout ratio. Like TD bank, CT offers distribution growth in addition to its high and safe yield. Fiscal 2016 officially marks the third consecutive year in which it has raised its annual distribution, and its 2.9% hike which took effect this month has it positioned for fiscal 2017 to mark the fourth consecutive year with an increase. I think CT’s distribution-growth potential is very promising going forward as well. I think its consistently strong AFFO growth, including its 6% year-over-year increase to $0.639 per unit in the first nine months of 2016, and its growing property portfolio that will help fuel future AFFO growth, including its addition of 12 net new properties and 1.4 million square feet of gross leasable area in the first nine months of 2016, will allow its streak of annual distribution increases to continue through 2020 at the very least. Should you prefer one to the other? TD Bank and CT REIT both offer high, safe, and growing dividends, making them strong buys in my book. With this being said, I do not prefer one to the other, so I would either buy both or flip a coin to decide between them. 27 years later you would have had $86,346 more than if you had invested in the S&P/TSX index instead -- and you would have experienced even less volatility along the way. 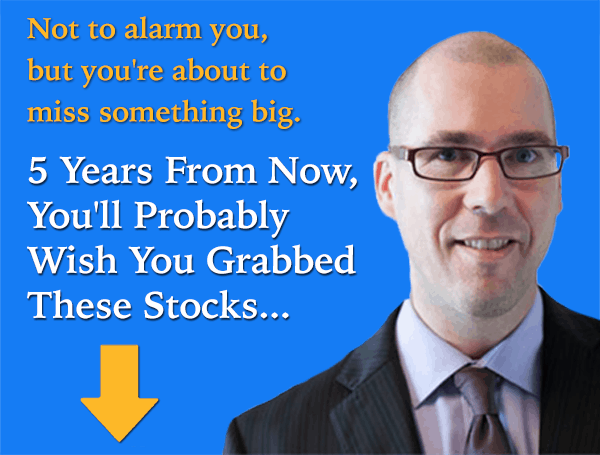 Which is why we asked one of our top analysts -- and experts in this field -- to put together a special report highlighting three of his favorite "earn more, risk less" stocks to buy right now. For a limited time you can get a copy of this brand new special report free of charge by simply clicking here.